Proper preparation for your meditation is very important. Check out these simple steps. from class 1: Imagine the candle as an entrance way to the vast spiritual dimensions permeating everything. Class 3: No matter which philosophy or religion you investigate, all recognise that within each of us are all the qualities of heaven. Class 4: Meditation music, and an exercise meditating to it. Class 7: Pick up a leaf. Place it in the palm of your hand...See your part in the cycle of nature. Class 8: A mantra is a word or phrase that is repeated as a means of achieving focus for deep meditation (also called japa meditation). Class 9: Imagine yourself walking alone in a desert. You have a choice which path you travel... Chose your highest future! 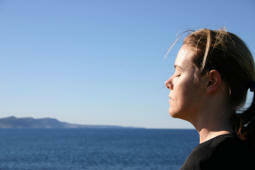 Class 10: This is an exercise in expanding the 'aah' moment, that moment of natural meditation. 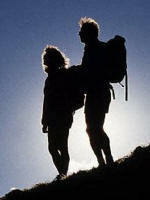 Class 11: A great travelling meditation: Look around and imagine that the people around you are perfect souls. Class 13: When you look outside, how much of 'you' exists out there? Strip back the layers to reveal your inner self. Class 16: Sit with your eyes closed and concentrate all of your attention on your heart... Listen to your inner voice. Class 18: De-stress! How to go to sleep easily and to offer the best opportunity for spiritual dreaming. Class 19: A classic Yoga exercise consciously bringing light to every part of the body. Class 20: A pilgrimage to yourself. Be still and know that I am. A special 54 minute meditation for Premium members to take you to your highest. Am I living my highest and deepest vision of myself? Am I settling for what is easiest, what my parents or my friends want rather than living the highest dreams that I have for myself? We are much larger than one tiny human being, it is our Aah moments (moments of the heart) that show us this.